There are over 730 million internet users in China – students, gamers, researchers, app users, social media stars, businesses – but there are no Googlers, no YouTubers, and no New York Times readers. China has long been notorious for its censorship of internet websites and in 2017 reportedly shut down over 125,000 websites from in-country access. Will censorship continue to grow in China or, as promised by President Xi Jinping late in 2017, will China be opening its virtual doors to the world? China started regulating internet usage just three years after it became available to the public in 1994. China quickly became notorious for its extreme version of online censorship, getting dubbed the “Great Firewall of China” for its combination of legislative acts and technical barriers, that was created to control and censor internet use in the country. Censorship in China is undeniably strict. Websites are shut down, searches are filtered, and content is removed as quickly as its posted, for violations such as content being “sensitive, offensive, or inconvenient”. Almost anything considered negative towards the Communist Party is forbidden and content creators, website owners, or even commenters on a forum can be at risk of job loss, prosecution, arrest, harsh prison sentences in inhumane conditions and with lack of proper medical care (lasting from 5 days to 11 years). 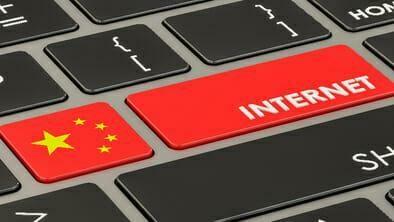 Even non-citizens are at risk and likewise, Chinese authorities do not hesitate to pressure other governments, and even private companies conducting business in China, to hand over purported violators of their strict internet laws. Websites that challenge the beliefs of the Chinese government and supporters of disability, gender, and lesbian, gay, bisexual, and transgender (LGBT) rights are non-contenders in this tightening world of censorship. And yet, despite what China’s censorship history teaches us, individuals and groups continue to fight for their rights for internet freedom and equality beyond that. In 2017, the non-government organization (NGO) Freedom House rated China as the “worst abuser of internet freedom” for the third year in a row. Not only did government officials remove over a hundred thousand websites for “harmful” information, they also prosecuted around 1,900 web users, site owners, and commentators as criminals. Similar seemingly minor infractions that have had big consequences include the firing of several professors at 14 top universities for critiquing the Chinese government on social media, and the shut down of celebrity or entertainment news social media accounts for spreading “socialist core values” and acts of “vulgarity.” The extremely thorough Human Rights Watch World Report 2018 details dozens of violations of freedom of expression through the ever-tightening internet security laws being adopted by Chinese authorities. Included on the list of offenses were several incidences involving the removal of virtual private networks (VPNs) which allow Chinese netizens a loophole through the Great Firewall. In July of 2017, the Apple store in China removed dozens of VPNs in order to comply with strict government regulations. Apple later confirmed that they removed a total of 674 VPNs from its Chinese store in 2017 alone. Similar events took place in August, when the Cyberspace Administration of China (CAC) forced five websites to remove all vendors that offered access to VPNs – mega international trade site, Alibaba, included. Punishments for illegal VPN sales have been severe thus far; Deng Jiewei was sentenced to nine months of jail time for illegally selling VPNs, while Wu Xianyang was sentenced to five and a half years and a 500,000￥(nearly $80,000) for running a VPN network. More and more reports are showing evidence that China will continue to crackdown on VPN services and fully regulate this “unlawful conduct” early in 2018. As the three internet providers in China – China Unicom, China Telecom, and China Mobile – are all owned by the state, and have already been told by authorities to block all access to unregulated VPNs by the end of March 2018. The government promises VPN access only to users it can trust – so the fight for internet freedom might just be getting tougher. There’s no way around it: the future of Chinese internet freedom looks bleak – at least for the next few years. President Xi Jinping is in term until 2022 and seems to be pushing for stricter controls, despite his statement at the World Internet Conference: “China’s door to the world will never close, but will only open wider”. Strengthened regulations and restrictions mean freedom fighters and human rights’ activists are going to need new loopholes to break through the Great Firewall of censorship. The Chinese authorities’ high sensitivity to content puts every online business, NGO site and netizen at-risk. Earlier in 2018, even the Chinese website of Marriott International was shut down temporarily after listing Taiwan, Tibet, Hong Kong and Macau as individual nations and not members of the Chinese sovereignty. There is little to protect internet users from the virtual eyes of the Chinese authorities, and the imminent blocking of VPNs certainly creates a dark cloud over Chinese netizens. However, the blocking of foreign sites, like those from the US, has in some ways opened more doors for Chinese companies. Lacking in international competitors, the one-billion person marketplace is primed for Chinese control. Companies complying with government regulations are starting to thrive, and now that the local market has been fully conquered, they have started to go global. So in China, internet regulations allow massive local companies and consumerism to thrive. But is it worth the corruption, the censorship – the price of freedom? We think not.